This routine helps changes the text style of text objects and even attributes inside of blocks to a user specified text style. This is helpful for when you receive drawings from another source and would like to change text styles to match your text styles. For this routine to work, the desired text style must exist in the drawing. The format of how to run this routine is different than other routines that you might be used to. You load the lisp routine as normal, but there isn’t a command that you enter at the commandline. What you do is pass feed the LISP routine the “function” that runs the routine and then the 2 variables in order for it to run. 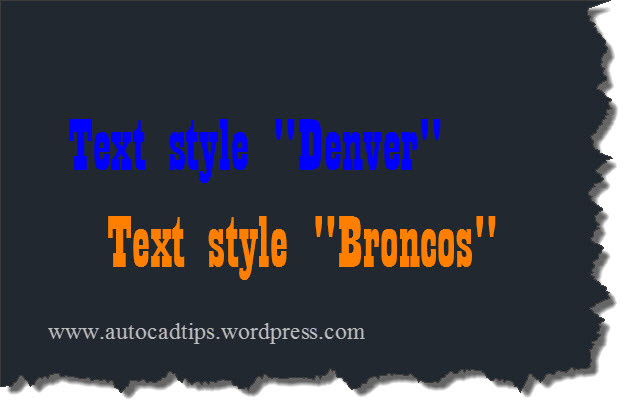 ;;; Changes objects that are set to one text style to another text style. Both styles need to be defined in the drawing. This entry was posted in AutoLISP, AutoLISP: Attributes, AutoLISP: Manage, AutoLISP: Text. Bookmark the permalink. Either way, both can easily be done within AutoCAD. I tried your code in AutoCAD 2019. I inserted another drawing that required text updating. Running the code again failed. I suspect due to the previous error. The drawing must be saved, closed, and then reopened to let the code run once again. Thanks for your time. I hope you can recommend a solution.